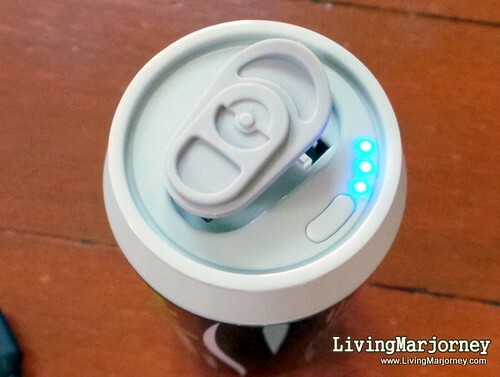 Woman In Digital: Review: Momax iPower Xtra, Energy Drink For Your Gadget! 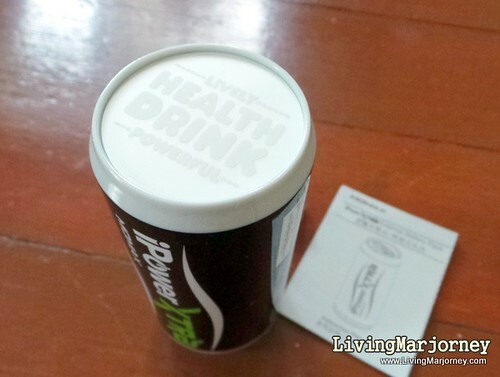 Review: Momax iPower Xtra, Energy Drink For Your Gadget! When husband renewed his contract with the Telco, he was given a new set of mobile WiFi. Since then I thought the headache on our old WiFi device will soon ends. With the new device I experienced being disconnected every 30 minutes. I have to restart and connect again and again. One day, I gave up and asked for the old mobile WiFi instead. At home, the former has to stay plugged or it drains fast. If not charging, the battery lasts about an hour or less. Seldom that I go out of the house with smartphone less than 50% remaining battery. As for my Galaxy Camera, if fully-charged, battery lasts a day. It also comes with extra battery pack, so I don't have to worry. 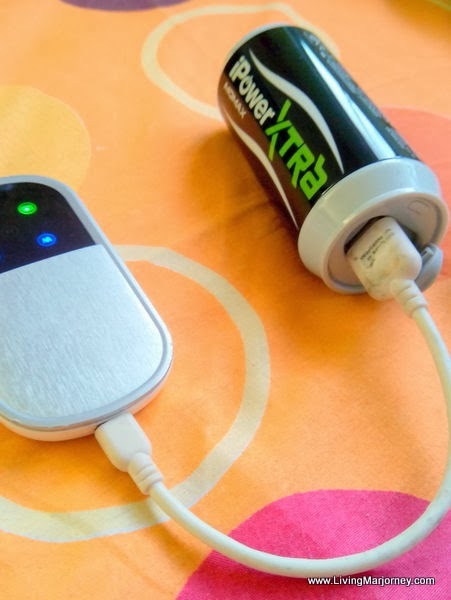 It is my husband who forgets to charge his gadgets and who always brings his old mobile WiFi device so I realized the need for external power bank. 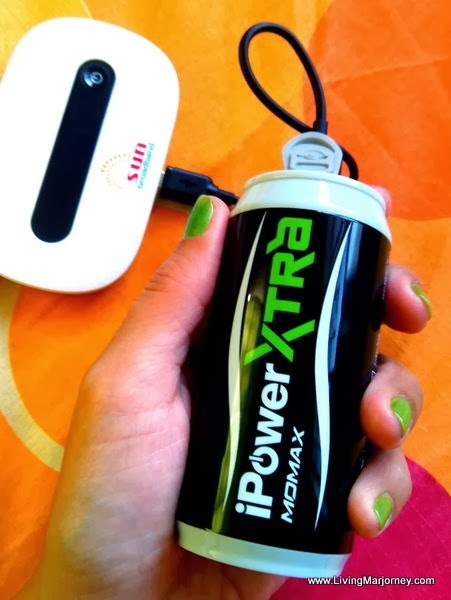 Momax iPower Xtra, Energy Drink For Your Gadget! About two weeks ago, I received this pretty external battery pack, Momax iPower Extra 6,600 mAH. It comes in a style, like a mini can of soda! 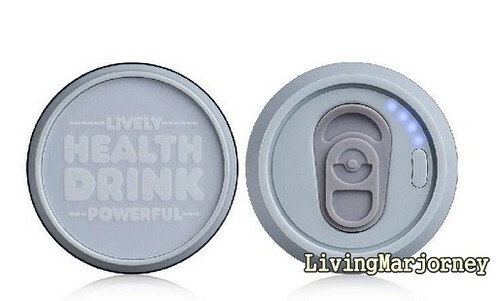 It looks like an energy drink and weighs about 200 grams. It comes with a Micro USB cable and instruction manual. Momax can charge multiple gadgets on the go! I can charge my phone, my husband's phone, his tablet and most importantly his mobile WiFi. What I like most with Momax is the high-efficient switch. 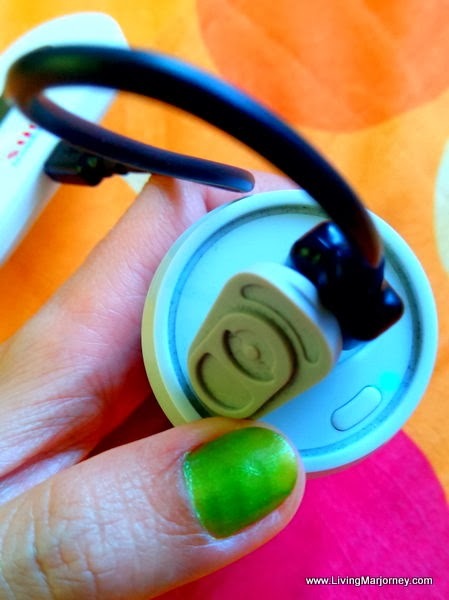 It can refill the power of devices within the shortest time, just flip and charge! iPower Xtra energy drink external battery pack has the largest capacity in iPower Health drink series, providing emergency recharge. My Momax in Black has 6600mAh, a fully-charged Momax iPower can charge a smartphone about three to four cycles. It has 2.1A USB output compatible with most digital devices. This power bank has power display. Four (4) lights on, indicates the remaining battery capacity is 100%, three (3) for 75% down to one (1) which means only 25% remaining. One (1) light flashing tells you that the remaining battery is under 10%. I usually charge it overnight and it's good to go the next day! 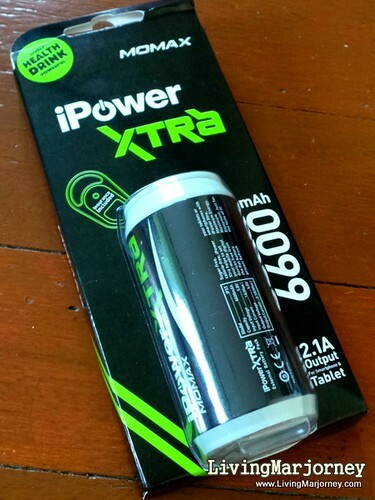 Momax iPower Xtra is compatible with iPhone/iPod series, Smartphones and tablets. Just a piece of advice, if you're getting a external power bank, choose the one that fits your lifestyle and gadget. Let say you're kikay, there are fashionable and lovely colors. Momax iPower is available in three colors - blue, black and white. If you want classic, buy a black one especially if your handheld device’s color is black. Do you own a Momax iPower Xtra? Do you like it? Momax iPower Xtra retails at P2,450 available at all Digital Walker, Beyond the Box, Digital Hub.